It was good to see Devan looking so splendid in his squire's raiment, but the summons made Davos uneasy. Will he bid us sail? he wondered. 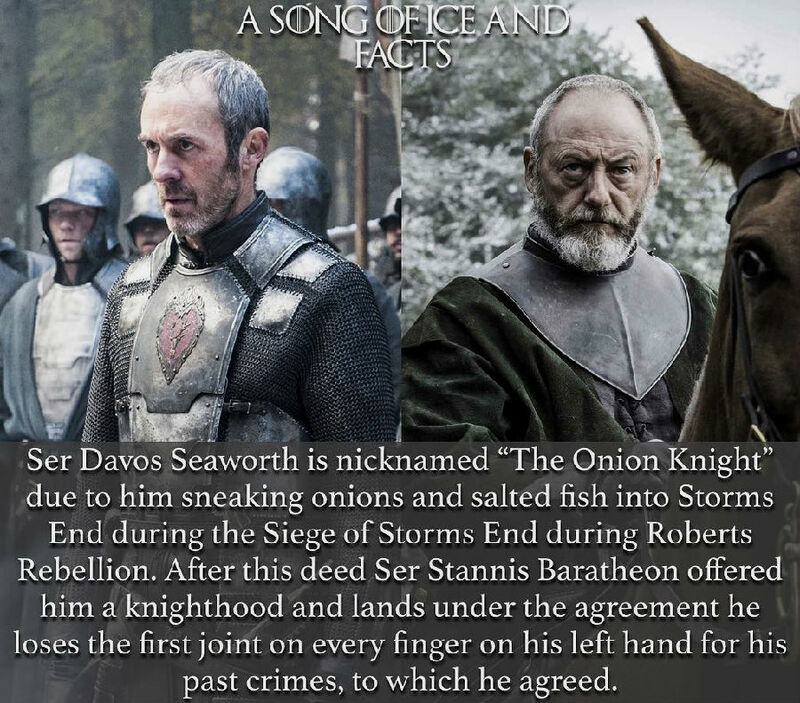 Salladhor Saan was not the only captain who felt that King's Landing was ripe for an attack, but a smuggler must learn patience. We have no hope of victory. I said as much to Maester Cressen, the day I returned to Dragonstone, and nothing has changed. We are too few, the foes too many. If we dip our oars, we die. Nonetheless, he climbed onto the horse. When Davos arrived at the Stone Drum, a dozen highborn knights and great bannermen were just leaving. Lords Celtigar and Velaryon each gave him a curt nod and walked on while the others ignored him utterly, but Ser Axell Florent stopped for a word. Queen Selyse's uncle was a keg of a man with thick arms and bandy legs. He had the prominent ears of a Florent, even larger than his niece's. The coarse hair that sprouted from his did not stop him hearing most of what went on in the castle. For ten years Ser Axell had served as castellan of Dragonstone while Stannis sat on Robert's council in King's Landing, but of late he had emerged as the foremost of the queen's men. "Ser Davos, it is good to see you, as ever," he said.